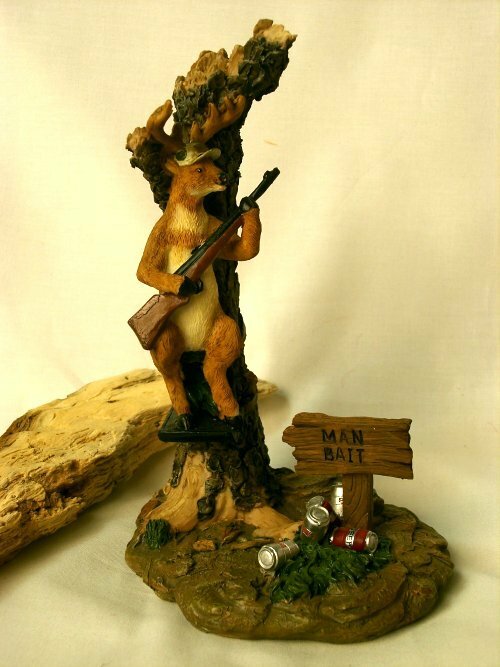 Comical Deer Hunter "Man Bait" - Really funny item for the deer hunter. The deer has baited his spot with beer waiting for the hunter. Stone resin, comes in color gift box, measures 8" tall.